Where to start? How about the blackness of night? The pouring rain? The collective pull-together as people struggled through the inky ethos; the intermingling of fellow runners, pacers, crew, family, and volunteers working together to overcome adversity. The Cascade Crest 100 mile endurance run with 22,000 feet of gain was to be the high point, and end point, of my summer adventures in Washington before heading back to Nepal. I did my best to prepare but it still wasn’t enough. My highly technical training plan in the eight weeks leading up to Cascade Crest was to beat myself up as much as I could: a ~75m adventure run from Snoqualmie Pass into Seattle, the White River 50m for my fourth or fifth time, the Alpine Lakes Wilderness Challenge 75m (22,000ft of gain), and Squamish 50m (11,000ft gain). 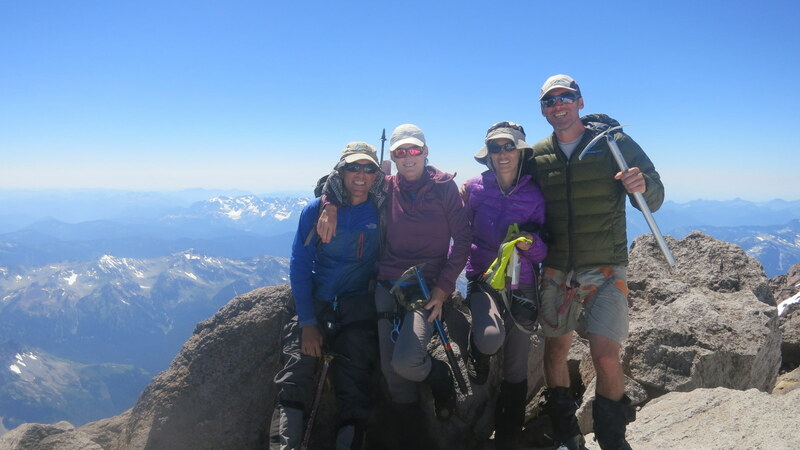 Mixed in was an amazing time reuniting with John Fiddler and Kathleen Egan climbing Glacier Peak. We climbed with Edith Buitrago from Bogota, Colombia. Edith also joined me on excursions into the Teanaway range as well as an attempt on Magic mountain in the North Cascades. I couldn’t have asked for a better summer or better company. By the end of the summer I thought I was ready for Cascade Crest. I wasn’t. I started the race in a pocket of sun and I finished in a pocket of sun – otherwise it was mostly cold rain and mist. At one point I was wearing a t-shirt, arm warmers, long sleeve, two wind shells, and a garbage bag with holes for my arms. The run through the night and into the next morning was one of the hardest pushes I have ever done. 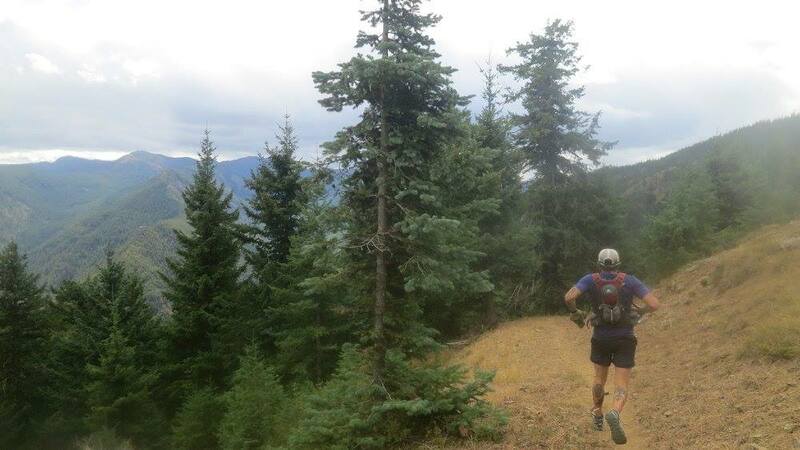 Other races go easier on you near the end, but Cascade Crest just gets harder and harder. The only counterbalance to the weather was the spirit and camaraderie of everyone. Pablo Cabrera joined me as a pacer sometime in the dead of night and dropped after ~15 miles due to impending hypothermia (thank you Pablo for bringing the good spirits both figurative and literal and giving me the shirt off your back). John Fiddler picked me up at mile 80 in the mid-morning. Even though I walked across the Himalaya with John – I had never run any significant distance with Dr. Fiddler. 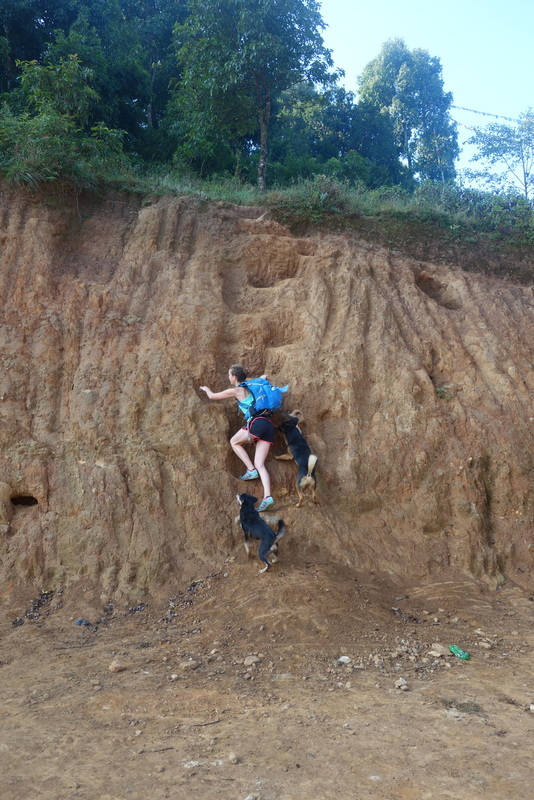 This time our packs were not too heavy and there were no technical passes to rappel down. We cruised, shuffled, limped, laughed and talked about past trails and future trails. We stopped for safety breaks. It is true what they say, you can live a lifetime during a 100 mile run. I crossed the finish line near the back of the pack in 30 hours and 12 minutes, about 24 minutes slower than my time in 2013. I believe around 160 people started, 99 finished. I was number 80. Craziness. Congrats to the winners and everyone who crossed the starting line. That was tough. Big thanks also to Jennifer Hughes, Stacey Nievweija, Matt Hagen, Betsy Rodgers, and Laura Houston for encouraging me to continue when I started talking about dropping. 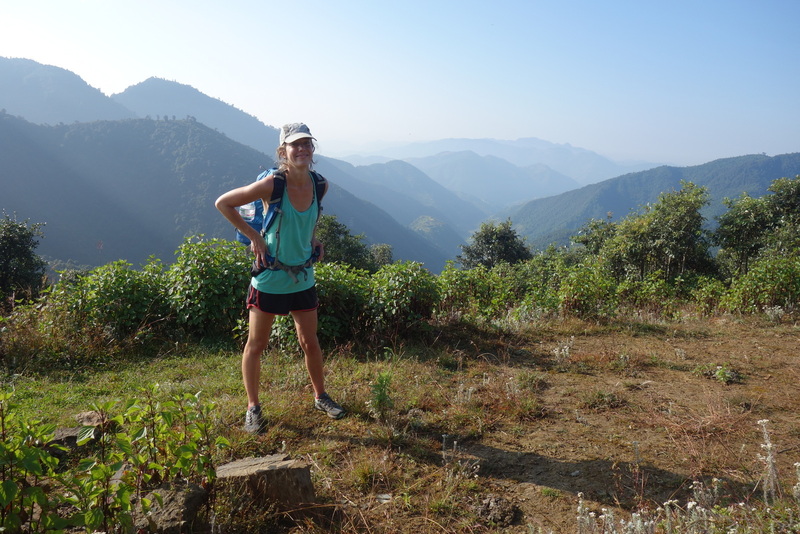 And thanks (or kicks…can’t decide) to Rich White – race director extraordinaire who shares a spot in my memories from when we did the Annapurna Circuit with Scotty Railton – in 2011. Back in Seattle – I cleared out of my temporary apartment, packed my meager belongings into my truck, parked it at a friend’s house where it still sits (thanks Hidero! ), and caught a ride to the airport (thanks Pablo!). 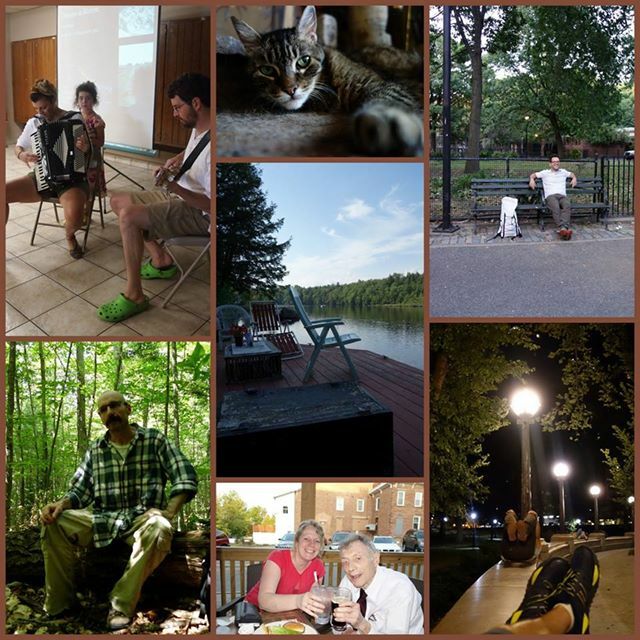 A series of progressively smaller flights finally found me in northern New York at the beginning of September, where I got to see family for the first time in 2 years including my father who is aging fast. Seeing him bent over from bone/muscle wasting and struggling with his balance and vision issues makes me want to live life as fully as I can. I spent time by the water at Camp High Skies where my mother and Rafael live when they are not in Cuba, had a picnic lunch with my friend Jennifer Elliot who inspired me to train for my first marathon, and roamed the woods in the Adirondacks with my friend Brett Sanchi who is an exceptional photographer (not to mention baker of pies). 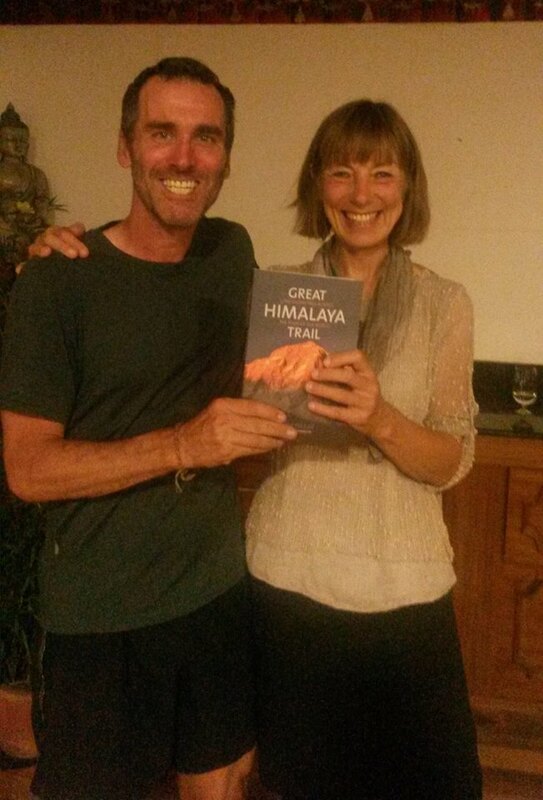 I gave a presentation about the Great Himalaya Trail in my tiny hometown of Parishville which was a lot of fun. My sister Ola and her husband Claude opened the show for me with some great bluegrass music. A long bus ride the next day brought me to New York City where my feet roamed the streets of Manhattan all day and into the evening in the company of my good friend Courtney Kopec. We met in 1994 because the two girls we were dating both shared an apartment. I have no idea what happened to Amy but I wish her (and Andrea) well. Meanwhile our friendship has spanned two decades and the world from Seoul to Bangkok to NYC. My flight went from JFK to Hong Kong to Dhaka to Kathmandu. I hit the ground running,, staying again at Kathmandu Base Camp (thank you Oglethorpes! ), catching up with friends, and working with Sudeep on last minute preparations for the second annual Annapurna Trail Race which started on September 15th. This time we had seven participants so it was a small group travelling quick and light together versus a race. We really had an all-star cast of endurance athletes on the trip. Good times were had and I think next year will be even better. We came in $1,331 USD under budget and donated the money to Wide Open Vistas. We will get a trip report posted on www.annapurnatrailrace.org in November and and we’ll start registration for next year. Thanks to Richard Bull of Trail Running Nepal, Dorjee Sherpa of Himalaya Windorse Adventures, Sonam Shah, Sudeep, Amy, John, Fab and Karen. We did it! Ten days later – Windy Pass – way off the beaten trail. The bulk of October has found me working remotely on projects for the University of Washington, this work is mostly grant administration, finishing manuscripts from past studies, and also some interesting data work for the regional heart center. All can be done via the computer, although sometimes I have to join conference calls at 2am. Still – very much worth it and I appreciate the flexibility of my colleagues. 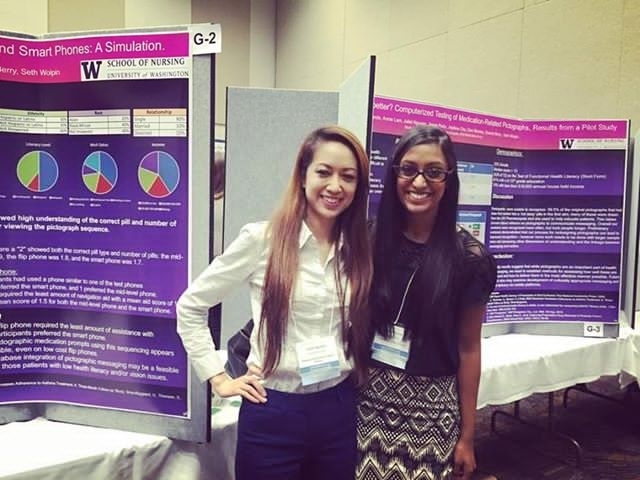 Big thanks to Juliet Nguyen and Lara Fernando for presenting some of our research at the Annual Washington State Public Health Conference – the subject? Delivering pictographic medication prompts to patients with low health literacy. Results from my second R21 grant from the National Institutes of Health. Juliet and Lara are exceptionally talented and the vanguard of health research, I’m excited to see where they end up. To offset my extreme selfishness, I’ve also been doing a lot of volunteer work with Wide Open Vistas – helping establish and streamline business processes, visiting students, and working on program development. We are using the $15,000 raised during the earthquake to build bathrooms for the girls at a government school in northern Kathmandu. And we are now supporting 20 students – helping them stay in school and also will be rolling out a school lunch program. Big thanks to Dorjee Sherpa, Sudeep, and Sonam for all their hard work on the ground. Alysha Greig has joined us as our Director of Development and I know she will do a much better job than I have been able to with donor relations and keeping things connected and coherent. 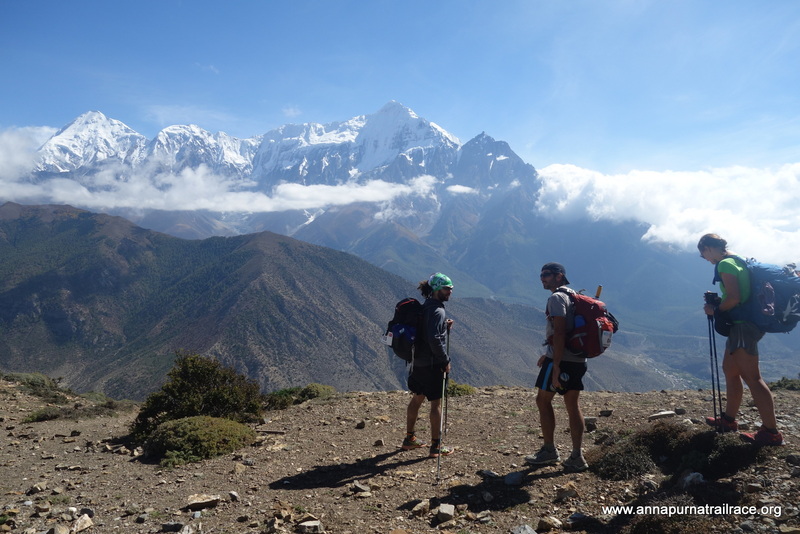 We now have an instagram account (@wideopenvistas), a LinkedIn page – please check them out and if you are planning a big adventure, consider joining #TeamWOV and raising funds for Nepal. 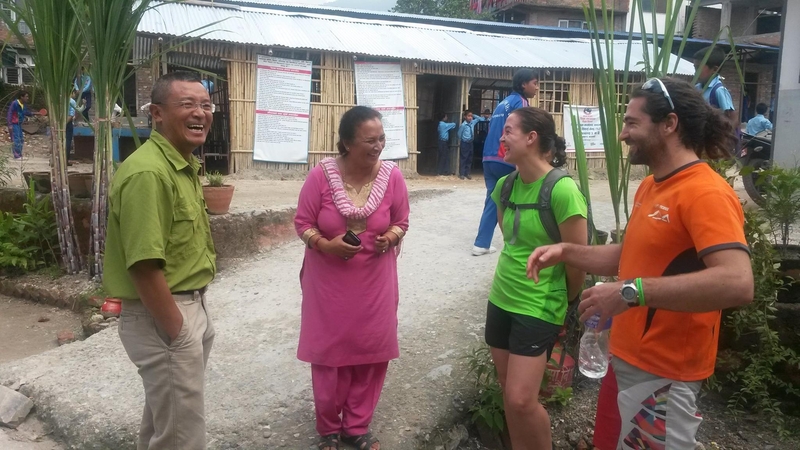 With Annapurna Trail Race Participants Amy Markovich and Fabien Dauzou at Budhanilakanta school – talking with Ast. Vice Principal Ms. Shobha Cheetri and Dorjee Sherpa about how WOV can help the school. Where am I living? I’ve found a nice flat in northwestern Kathmandu with not one, but two private rooftop terraces and a view of nearby peaks. After a few too many late night runs across the city home from the bar, I’m the proud owner of a nice mountain bike and feel grateful to Jenny at Himalaya Single Track for hooking me up with a sweet ride – if you are interested in mountain biking or touring in Nepal – please check them out. So what is in store? Why butterflies? I have two projects I am working on and both make me nervous. I like that…it means I am over my head and testing my limits. Both are circumnavigations in the 130-150 mile range. Project #1 is a continuous push around Manaslu – the 8th highest mountain in the world with a 17,000ft pass we need to get over. It will hopefully be a bit of a redemption run – I ran it in 2013 as a stage race (and to scout it for my own solo attempt) but I hit my head on a door jam. I walked most of the circuit last year while carrying a super heavy pack on the Great Himalaya Traverse – so no real running. Sudeep will be joining me, we are grabbing a bus on Monday (there is a massive petrol shortage here, so plans could change) to the start and then hope to finish in under 48hrs. Tracking will be available here on my website. We’re still trying to figure out the distances and logistics. Should be fun. Stay tuned. 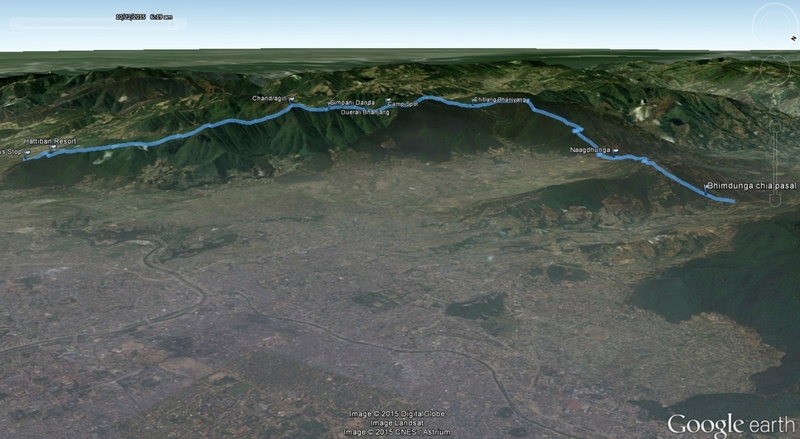 Project #2 is to run around the Kathmandu Valley Rim. I’m hoping I can do this in late November before returning to the states. I may need a wheelchair to get to onto the airplane. As far as I can tell, no one has ever tried to do it in a single push. Thanks to Naomi who joined me earlier this week for a two day scouting trip looking at the south west section of the rim. Naomi does some pretty amazing art therapy work with refugees in France and in Nepal. And not everyone smiles while bush whacking ~800m up a leech infested jungle ridge complete with monkeys and himalayan sized spider webs (nor do they pack avacado + peanut butter sandwiches). So big thanks. And in the end we found a sweet camp spot and beautiful trails along the valley rim. Next morning – all packed up and ready to go! So please wish me luck and good luck with your own adventures. Let me know what you are up to and share any stories that inspire you. I am happy, doing what I want to do. Living the dream as they say. 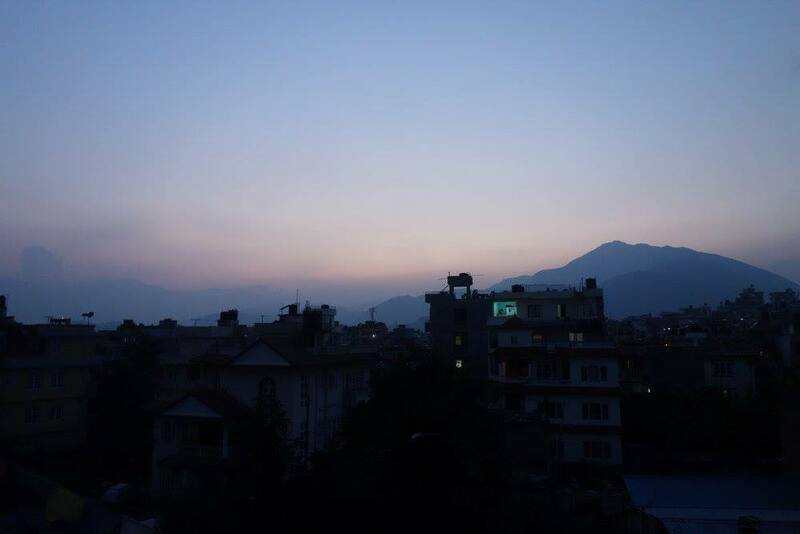 Kathmandu is an amazing and dynamic place to live. Hope you are as well. Thank you Seth for sharing your passions and adventures! You remain an inspiration for me. It’s so easy to let obstacles get in the way of exploring the essence of who we really are. By sharing your life with us you demonstrate that even failed attempts offer great lessons on how to overcome the next time. I greatly admire your tenacity. I think we should find a way to bottle this and create a new fragrance. I can see the marketing campaign now! It could fuel your next expedition. Thanks again for your ongoing inspiration, communication and being one of the best educators I have ever known. Thanks Brigette! I’m not sure you want to bottle my fragrance! But I appreciate what you are saying. Thanks for writing and staying in touch. UW seems so far away – but I will be back there in Jan. Cheers!